Oldest original church building in Decatur. Consecrated by great missionary Bishop, the Rt. Reverend A. C. Garrett. Erected facing Main Street (2 blocks west of square) in 1889. 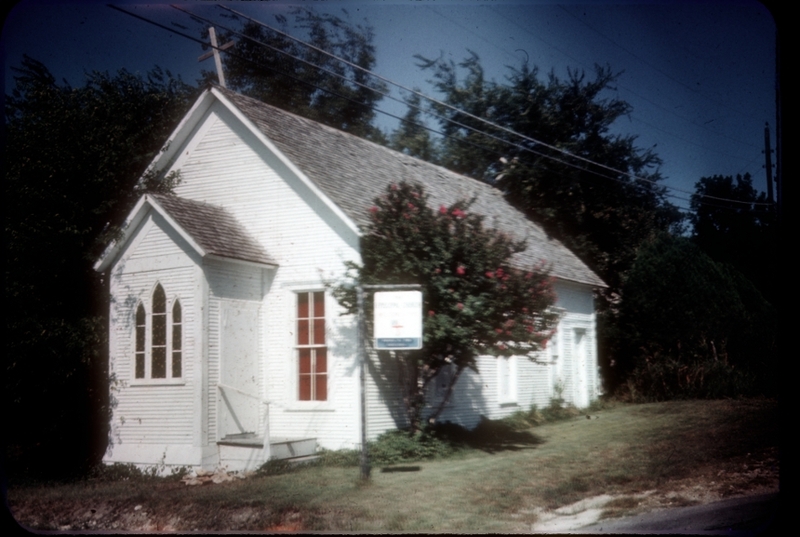 Known as "The Little Church with the Crosses", by 1912 it had deteriorated, but was restored and moved, facing Walnut Street. In 1940 building was sold, used as mattress factory, but rescued same year and moved here, with sanctuary placed symbolically to east, toward Jerusalem.